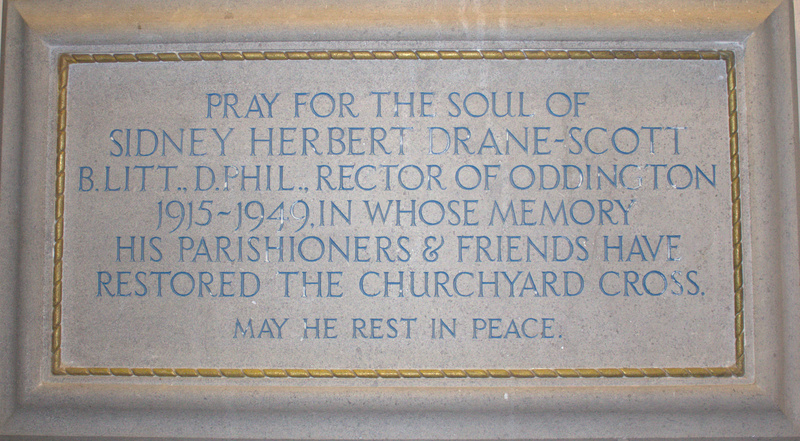 Rev Dr Sidney Drane-Scott was Rector of Oddington from 1915 to 1949. He was an eminent Anglo Catholic, having been a member of the Oxford Movement. He acquired the patronage of the living and ensured that the church remained Anglo Catholic after his retirement. 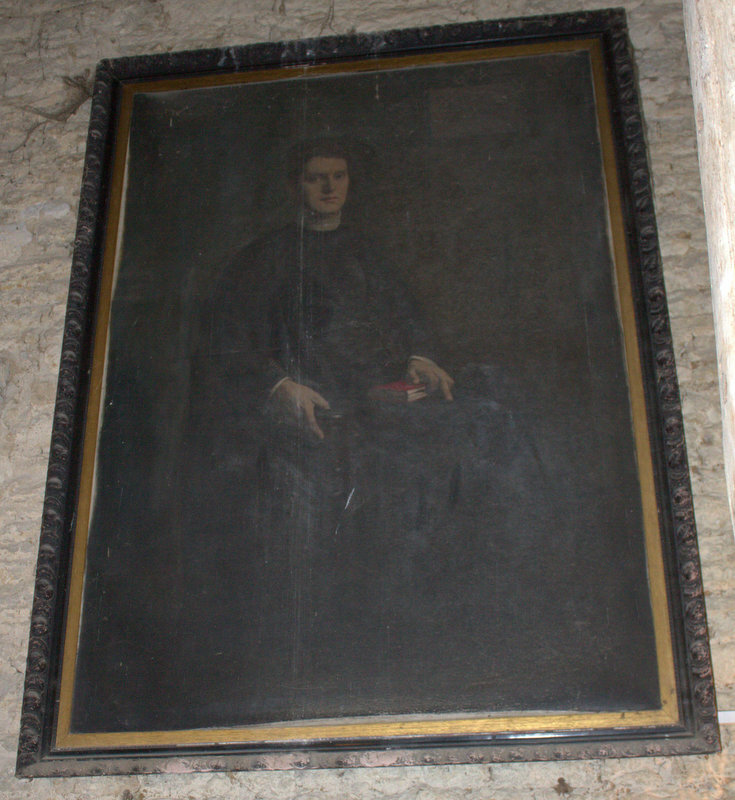 This portrait of him as a young man hangs in the church tower. And this plaque is in the church.